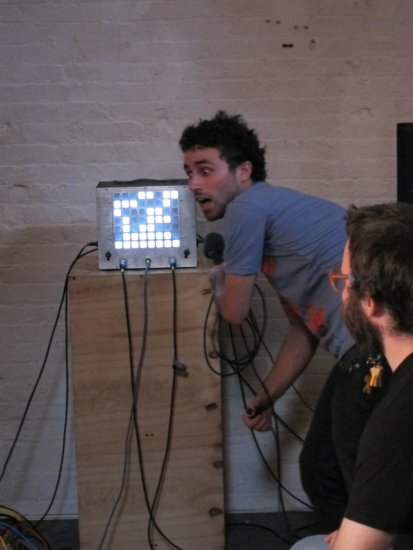 On June 28, 2011 the Clocktower Gallery presented the last installment of Moral Kombat, with Moral Magistrate co-creator Casper Electronics taking on G Lucas Crane to decide once and for all who can imbue their composition with the most moral efficacy. 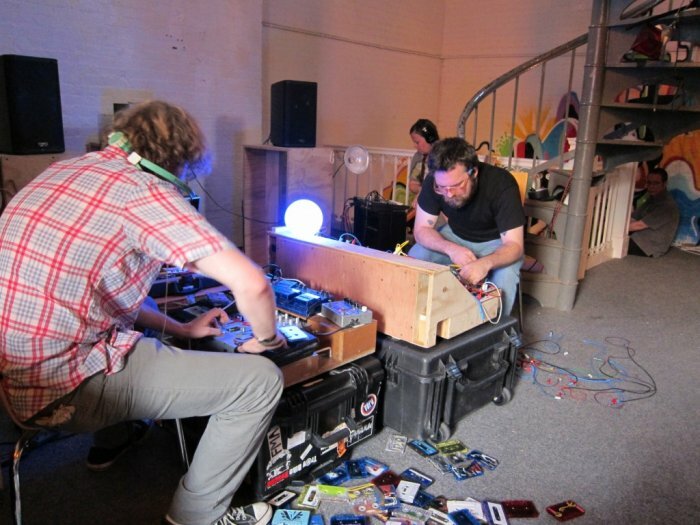 In the left corner, weighing in at astounding, Casper Electronics is an installation artist, sound artist, and accomplished musician. 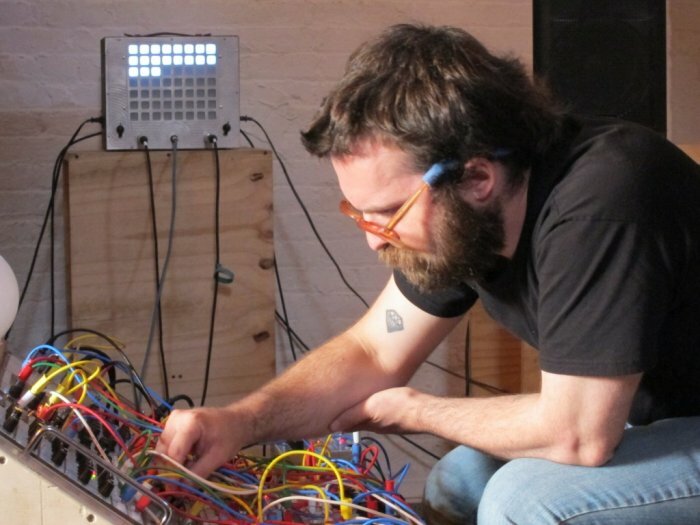 Based in Troy, New York, Casper Electronics has performed at numerous international festivals including PERFORMA and Mal Au Pixel in Paris, France. His installation work has been exhibited across the United States and Europe. In the right corner, weighing in at highly articulate, G Lucas Crane is himself an accomplished sound artist and musician. Crane is a member of the band Woods, who have toured across the United States and Europe. Crane recently scored several critically acclaimed plays and is Curator in Residence at Brooklyn's Silent Barn. Crane is also the curator of Moral Komat and a former Clocktower Gallery Resident. 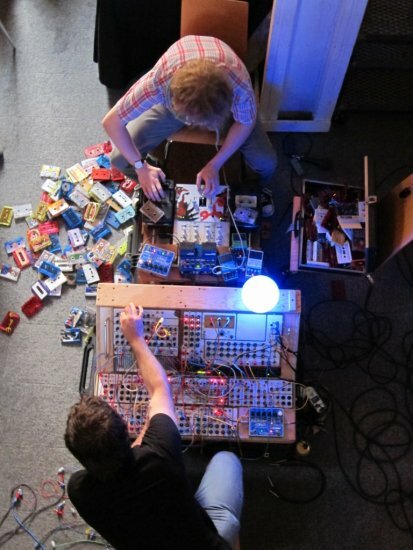 G Lucas Crane and Casper Electronics. Courtesy the Clocktower and ARTonAIR.org, 2011.